Many people see smartphones and tablets as work distractions. Kids and adults alike play games and browse the internet on their phones. People use them to relax and watch videos. But mobile devices don’t have to be all fun and games. With its app selection, there are many ways that Android can improve work productivity. You don’t need an Apple device to have a virtual assistant at your beck and call. Google Now comes installed on Android devices gives you information based on your interests. Saying “Ok Google” from any screen prompts a voice search. Personalized Now Cards keep you updated about traffic, the weather, events, and more. Want to take notes while taking a break from typing? Phones come built in with voice recorder apps. Just open your app, tap the record button, and speak. The app saves the recordings for playback. You can also access the microphone from your keyboard so you don’t have to type. This isn’t just for texting – it’s for notes and documents, too! Don’t have a scanner? No problem! With today’s smartphone technology, scanning documents is a breeze. With Evernote, you can use your phone camera to snap a picture of a printed document. You have the option to save it as a photo, document, color document, post-it note, or business card. It’s easy to do work on your smartphone. Touchscreens are getting larger than ever, making keyboards easier to use. Google Docs allows you to access and edit your documents from any computer or device. And work saves as you go, so you don’t lose progress! You can share documents with others via the link and give them permission to edit it, too. There are many project management sites with companion Android apps. Basecamp is a popular choice due to its extensive features. Users can organize to-dos, discuss with teammates, upload files, set deadlines, and more. Even if you aren’t part of a work team, a project manager is a great way to keep track of work and tasks! Phone calendars are great productivity tools if sometimes overlooked. You take your phone everywhere, and it is smaller than your paper calendar. Google Calendar is a useful app because you can sync it to your account. Events added via desktop will transfer to your phone, and vice versa. If you have business trips to schedule, use a calendar app! Email is one of the basic features of today’s smartphones. But the stock email app is not always impressive. The Gmail app is great because it is fast and simple. Once you read your messages, you can delete them, or swipe over to the next one. It’s easy to keep your inbox organized! And if you feel like sorting your contacts, try Contacts+. It combines your address book, messenger, and dialer all into one app. It can also connect to social networks to show you every facet of your contact’s profile. Even if you don’t have to submit your work hours to the boss, time tracking apps are a great resource. Spreadsheets can be tedious, so let your phone do the heavy lifting! aTimeLogger is one of many Android apps that help you control and manage your time. The app has a simple interface, automatic time tracking, statistics over time, and more. Try using it to improve your work time and productivity. If you have to draft an invoice and don’t know where to start, Android can help! Apps like Street Invoice allow you to create professional invoices from your phone. With Street Invoice, users can also set payment terms and due dates, and even add a PayPal button. And that’s only one of several app options in the Play Store! 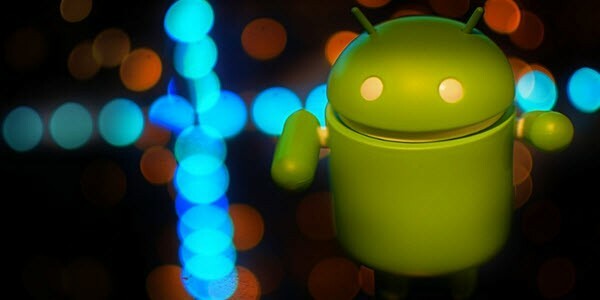 With Android devices, you don’t need to beat your computer to connect to a VPN. AnyConnect is a popular solution for connecting on the go. You will have to find a version that works with your device, but they function the same. Just add the VPN server, enter your login, and connect. Best of all, some of these apps already come with Android devices. Google Now, Google Calendar, Gmail, and voice recorders are standard Android apps. And the other apps listed are all great additions to your Android devices. If you are looking to be more productive, give these tips a try!